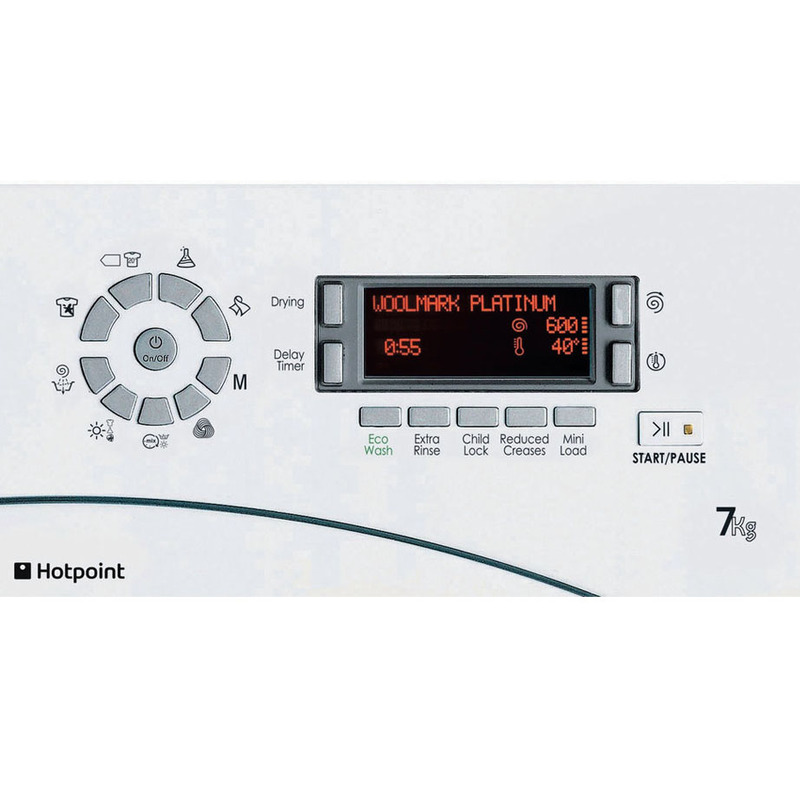 This Hotpoint Integrated Washer Dryer has a drum capacity of 7kg and a maximum spin speed of 1400rpm. Choose from 16 programs to find the best wash for your laundry from Silk, Wool, Cotton or Rinse and Spin. An anti-allergy cycle removes over 99% of major allergens which is great for hay fever and allergy sufferers. 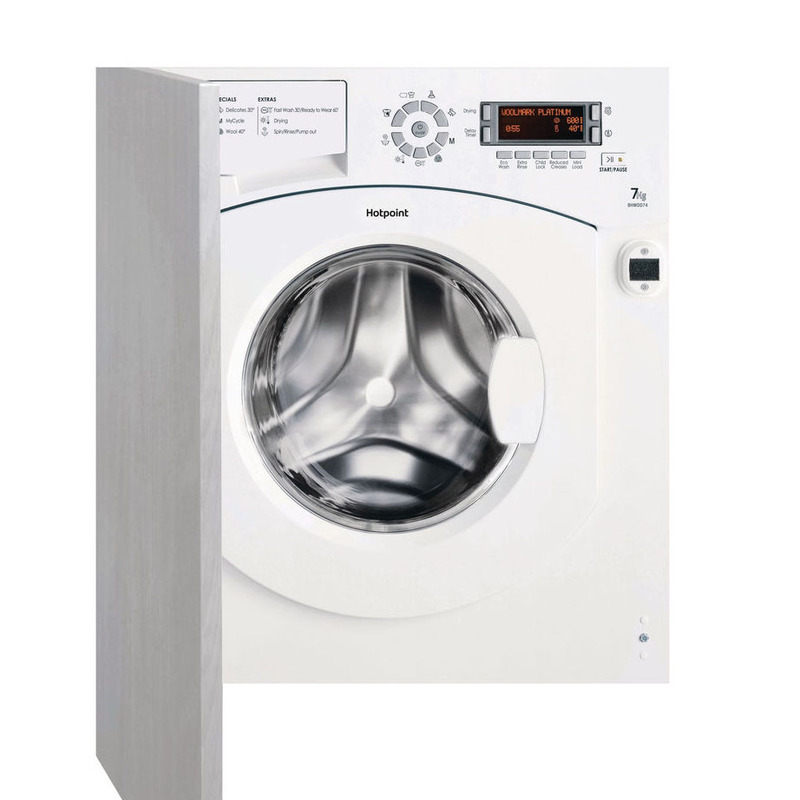 Combining an easy-to-install design with superb stain busting tech, 7kg of drum capacity and 1400rpm variable spin speed, the Ultima Built-In Washing Machine in white tackles the laundry whilst freeing your time. Featuring Smart Technology, the drum weighs the wash load and adjusts energy, water and time to create the most efficient cycle whilst matching performance with speed. Remove 20 of the most stubborn, everyday stains in one wash without pre-soaking or scrubbing. Clever detergent, water, temperature and drum rotation management gets between fibres, lifting marks whilst leaving your clothes smelling fresh and feeling irresistible. For those who suffer from sensitivity to pollen, dust and pet dander, the Ultima includes an Anti-Allergy wash and rinse cycle, so effective it removes 99.9% of major allergens and has been awarded the Allergy UK Seal of Approval. Giving you 16 programs to choose between, take extra special care of delicates, knits and silks, the Baby Cycle delivers extra oomph for the marks little ones pick up, whilst Reduced Creases helps to liberate your time from the ironing board. 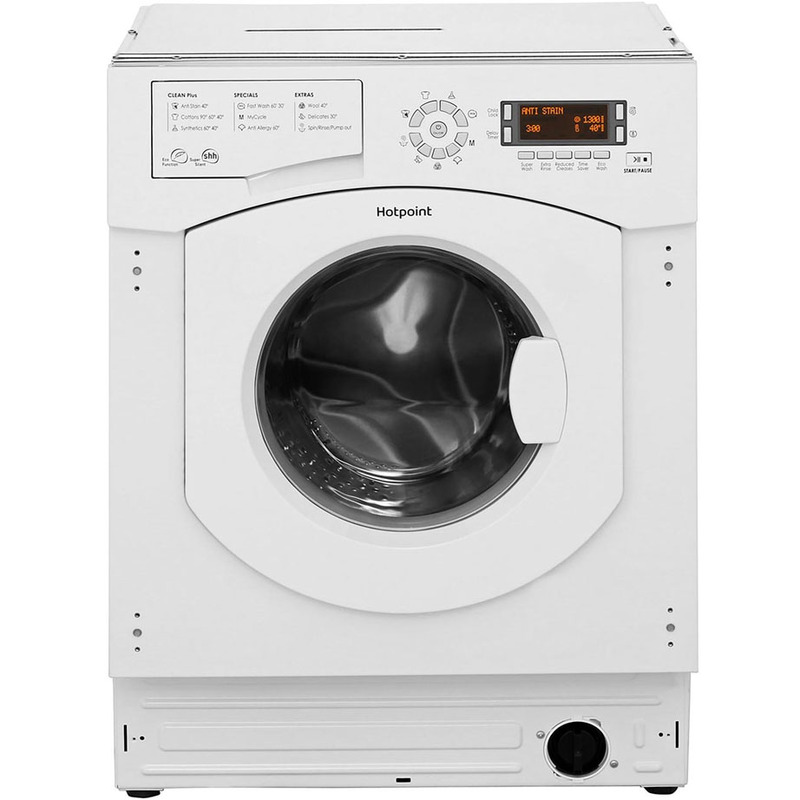 Featuring an easy-to-use iScreen interface and 24hr Delay Time, laundry works to your schedule with the Ultima Built-In Washing Machine, whilst the Super Silent Motor ensures conversation can flow freely.